Want to keep your audience engaged with your content? Interested in generating leads for your business? Then let’s talk about calls-to-action! A call-to-action (CTA) encourages your website visitors to take an action - whether it is to download a featured offer or just learn more about your company. No matter what, if someone is clicking on your CTA they are showing interest in your company. CTAs are the first step of gaining a new lead - they redirect users to a landing page with a form. From here, all your visitor has to do is fill out that form with their information to receive your valuable offer. 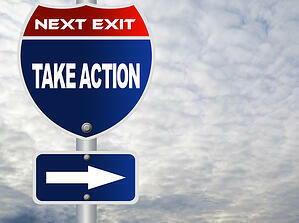 So how can you create a marketing call-to-action viewers can't resist? Clean and simple CTAs are sometimes exactly what you need to drive conversions. These basic buttons can be any color, size and shape you want. Their main purpose is to stick out from the rest of your content and use actionable language like ‘Download your eBook’, ‘Register Today’, ‘Get It Now’. Use your larger CTAs to further explain your offer and its value. Try including a relevant image while also explaining what your offer is about; just remember to keep the format simple so that the action is clear and easy to understand. This tip is especially important when you're trying to move a lead further down the sales funnel. Figure out a great design that works for your buyer personas and stick with it to qualify leads more naturally. Great places to add a CTA include a your homepage, the sidebar of your blog, the bottom of each blog post, on each of your product/service pages, about us page, pricing page. These areas are unobtrusive, but still natural paths to catch the viewer's eye. Display different calls-to-actions on your website using smart content. Your audience will be shown relevant CTAs based on their lifecycle stage. When a new visitor is on your site they will be shown top of the funnel offers to help their process of becoming a lead; a lead that has already downloaded an offer will be shown a different CTA so they can continue advancing through the funnel.